Stunning illustrations and comprehension activities throughout the book aid students' understanding and encourage independent learning. The accompanying website features a wealth of free online teaching resources, plus extra support for students. An adaptation of the classic story about a young man who is shipwrecked on an island. 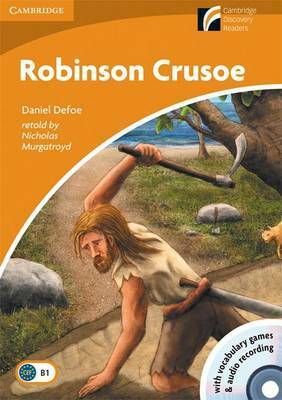 Crusoe eventually meets another person on the island and their friendship leads to his escape and return to the country he left as a young man, almost thirty years before. This is an American English version of the title. The pack includes CD-ROM and Audio CD with vocabulary games and complete audio recording.